Retina care is the ultimate form of ophthalmology. I like the elegance of the microsurgery, the ever-advancing technologies, and the ability to make a big difference for my patients. Sohail J. Hasan, M.D., Ph.D., F.A.C.S., F.R.C.S.C., is an acclaimed vitreoretinal specialist who has achieved distinction for his surgical expertise as well as his innovative clinical research – both here in the United States and in his native Canada. Dr. Hasan is an Assistant Professor of Ophthalmology at Rush University Medical Center in Chicago. He has been with Illinois Retina Associates since 2003. Dr. Hasan’s interest in vision and the eye began early on. As a seventh-grader, he won first place at the Los Angeles County Science Fair with his project “The Electric Eye”. In fact, his passion for the visual sciences eventually led him to pursue a career in retina surgery. Dr. Hasan earned his undergraduate degree in psychology from Dalhousie University in Nova Scotia, where he also pursued vision research. Dr. Hasan went on to complete a Ph.D. in neuroscience at the University of British Columbia. He then received an offer to continue his pioneering research in spinal cord regeneration as a post-doctoral fellow at the University of Zurich in Switzerland. After several years there, he decided to further apply his skills to direct patient care. So, when he returned to Canada, he earned a medical degree with honors from the University of Toronto. Dr. Hasan completed his ophthalmology residency at the University of Toronto where he served as chief resident. He completed his fellowship in retinal surgery at Rush University Medical Center. He is certified by the American Board of Ophthalmology, the American College of Surgeons and the Royal College of Physicians and Surgeons of Canada. 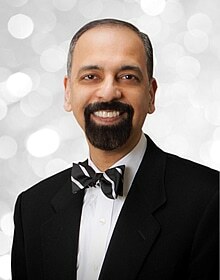 Throughout his career, Dr. Hasan has been dedicated to clinical research. He has been involved in a number of major clinical trials, including the National Eye Institute’s CATT study on macular degeneration. Dr. Hasan is also a busy writer and lecturer. He has authored or co-authored numerous articles and abstracts in leading academic specialty journals, and has written chapters for ophthalmology textbooks. He is regularly invited to lecture to his peers and to future ophthalmologists and retina specialists. He holds several ophthalmology leadership positions at the local, state and national levels. He is the recipient of numerous awards and honors from the American Academy of Ophthalmology (AAO) and other national organizations. To name just a few, he is the recipient of an achievement award and lifelong educational award from the AAO as well as a physician recognition award from the American Medical Association (AMA). Dr. Hasan is on staff at several Chicago-area hospitals and sees patients at Illinois Retina’s Orland Park and Flossmoor office locations. Dr. Hasan is a former alpine mountain climber and has reached the summit of numerous mountains on several continents. Presently, when he’s not seeing patients, Dr. Hasan and his wife, who is an endocrinologist, enjoy spending time with their daughter and traveling the globe. He has an interest in languages and is fluent in several. He is a semi-professional photographer and also enjoys karate and suba diving.